Ali asks: What is Yogic Spirituality? To me, yogic spirituality means having the self-discipline to lead a sattvic life, strictly avoiding eating meat and refined or processed foods. It means maintaining a strict routine of body cleanliness, washing before every class, eating clean food, wearing clean clothes. Yogic spirituality also means that I lead a simple life, avoiding indulgent purchases and compulsions, avoiding the type of privileged behaviors that comes with corporate mindsets and high wages. This purification of mind and body allows me to develop the sensitivity and self-awareness to be considerate of other’s suffering, to practice kindness and compassion. It means being mindful of my actions and choices, rather than relying on auto-pilot responses or culturally ingrained directives to influence my routines. This mindfulness also allows me to choose to minimalise my impact on the environment. It allows me to take an ethical position in terms of my consumption and purchases. Yogic spirituality requires effort and denial of selfish impulses, which is why does not seem popular. However, this de-cluttering of my life allows me to form subtle relationships with the universe and the systems and beings within it. 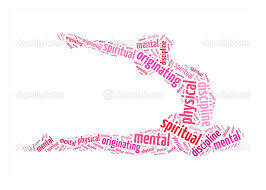 Yoga spirituality helps me to maintain dignity in truth!